No matter how simple the recipe is, it never fails that a quick market run is needed. This recipe calls for peanut butter (PB) made by Jif or Skippy and, of course, in my stash is the preferred natural, oily one from Trader Joe’s. For anyone who grew up on PB and jelly sandwiches or ever munched on scoops of PB sprinkled with sugar, you’ll like these cookies! What could be better than chunky PB and dark chocolate? The chips are my addition. You’ll want the best chocolate flavor, so look for varieties of semi-sweet and dark from Scharffen Berger and Ghirardelli. 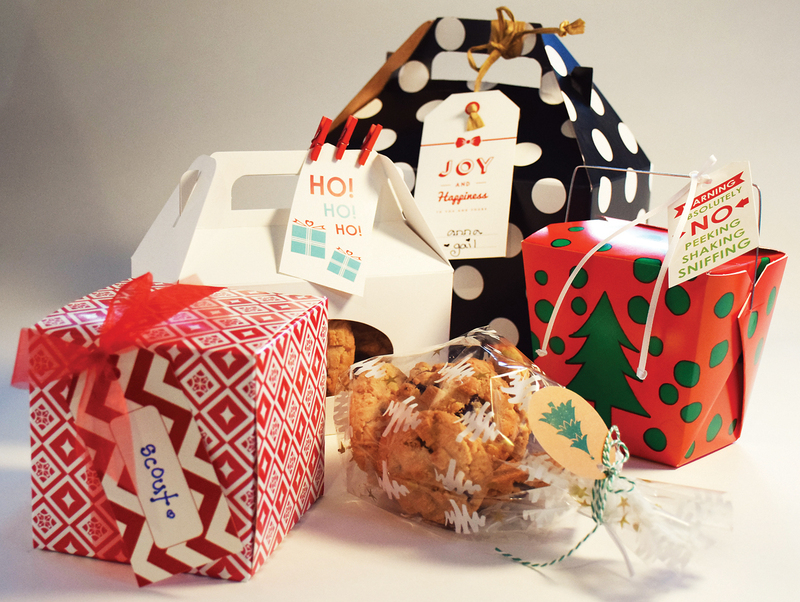 Make these ahead of time for do-it-yourself (DIY) holiday gifts. 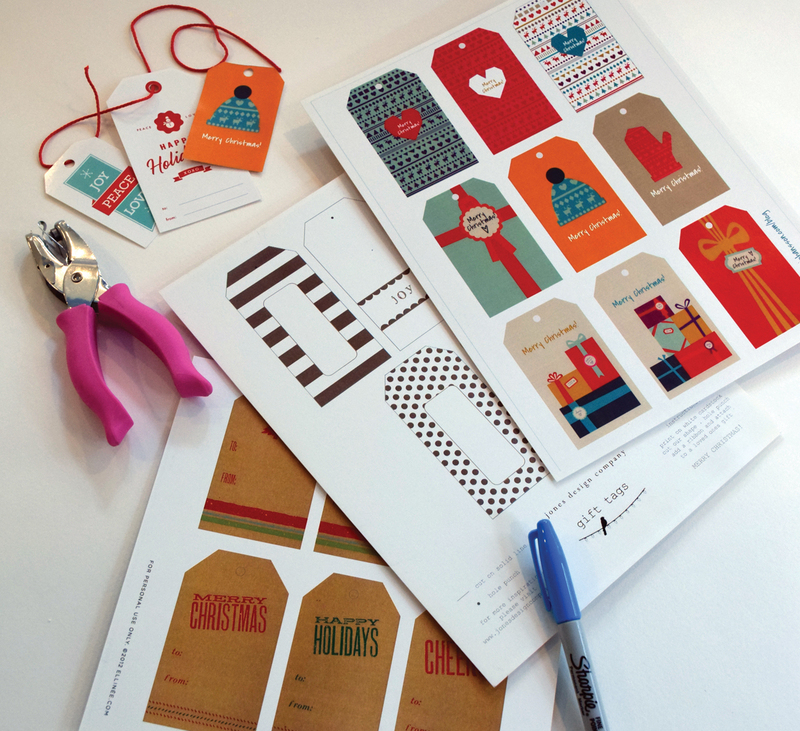 Add your creative touches when wrapping and tagging. Holiday gift tags are free online downloads. A trip to the Container Store fulfilled all my needs. Cellophane bags, with holiday designs, work great, and are the most economical. Target and Michael’s have good selections, too. Different styles and shapes of boxes, from Chinese take-out, ornamental, to some with peepholes to see what’s inside, are ideal. Size depends on how many cookies will fit inside. Pricier Mason jars and other interesting glass containers are reusable when all the goodies are gone. Remember those tags and stickers. Black chalkboard tags are different. OR, simply DIY! Google “free printable gift tags.” To print each page out, I used card stock, photo paper and vellum. Standard #20 copy paper is not heavy enough, but will work in a pinch when glued over a manila folder or cardboard. Finish off by tying a ribbon bow or trendy two-toned baker’s twine, jute or string along with your DIY tag signed with a good Sharpie pen. Voila! Be merry, be happy! 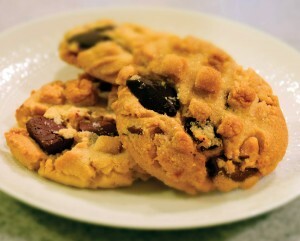 Peanut butter and chocolate chip cookies pair perfectly with a cuppa milk or joe. In a mixer, cream softened butter and both sugars on medium speed until smooth. Add eggs, mix on high until combined, about 1 minute. Scrape sides and bottom of bowl as needed. Add vanilla and peanut butter until combined. In a separate bowl, toss together flour, baking soda, baking powder and salt. Add to wet ingredients; mix on low until combined. With a spoon, mix in chocolate chunks. Dough will be thick, sticky. Cover dough tightly; chill at least 3 hours (and up to 2 days) in refrigerator. Preheat over to 350 degrees. Line 2 baking sheets with parchment paper or silicone baking mats. Roll balls of dough, or use scooper (medium Oxo brand). Place 2 inches apart on baking sheet. Press down slightly with a flat-bottom cup dipped in white sugar; then press with a potato masher or criss-cross with a fork, for a distinctive old-fashioned pattern. Bake about 11 minutes, or until lightly browned on sides. Remove from oven; let cool on baking sheet about 5 minutes before transferring to a wire rack to cool completely.